The Kazan State Medical University is located in the central part of city Kazan, Russia. Kazan State Medical University is one of the most renowned, Medical Universities in Russia from where thousands of Indians have graduated in past. Kazan State Medical University is a multi functional and multi leveled state institution of higher education in medicine. 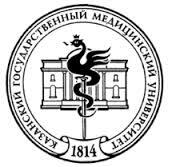 The Kazan State Medical University functions on the basis of self-governance and belongs to the system of higher education and scientific research of the ministry of Health of Russia.The University prepares excellent experts in various fields of medicine. Kazan State Medical University holds 16th place among medical schools of the Russian Federation. According to the prestigious Academic Ranking of World Universities-European Standard ARES-2014, published by European Scientific-Industrial Chamber, Kazan State Medical University has obtained the third place among Medical Universities in the Russian Federation. International students from all the corners of the world come to get medical education at Kazan State Medical University, as the University offers its services to the students of all nationalities and religions. Kazan State Medical University has trained more than 24000 students, including foreign students from 49 countries. The degrees obtained at Kazan State Medical University is recognized by World Health Organization (WHO) and can be spotted in the World Directory of Medical Schools. It is also recognized by the Medical council of India. Kazan state medical University had commenced English-medium courses in 1996. All the lectures, practical, laboratory studies, seminars, tests, examinations, state examinations for English medium are conducted in English language. Russian Language is also included in English medium of education as a compulsory discipline.